The unique, self-supporting design of Viledon pocket filters prevents collapsing – even at extremely low air flow rates. 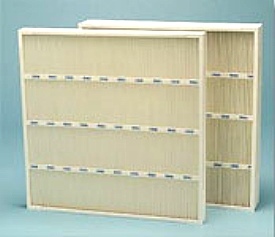 This ensures continuous, consistent air flow at all times for maximum filter efficiency. The wedge-shaped design of individual pockets also guarantees fuller media utilization than in competitive filters. 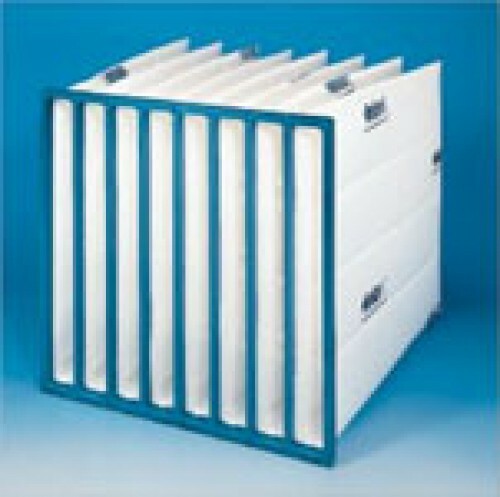 The unique, self-supporting design of Viledon pocket filters prevents collapsing – even at extremely low air flow rates. 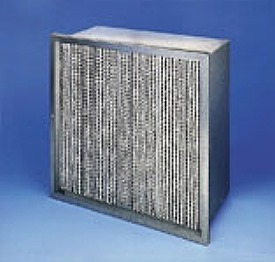 This ensures continuous, consistent air flow at all times for maximum filter efficiency. The wedge-shaped desgin of individual pockets also guarantees fuller media utilization than in competitive filters. 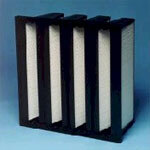 Controlled air flow within the filter is crucial for peak performance. The unstructured pockets in some competitive filters restrict air flow. Viledon’s aerodynamic, welded flutes channel air efficiently, resulting in lower pressure drop and 100% media utilization. Viledon’s superior design prevents media surfaces from coming into contact with each other. This permanent separation ensures even loading of dust particles and eliminates a major cause of filter failure in competitive filters. 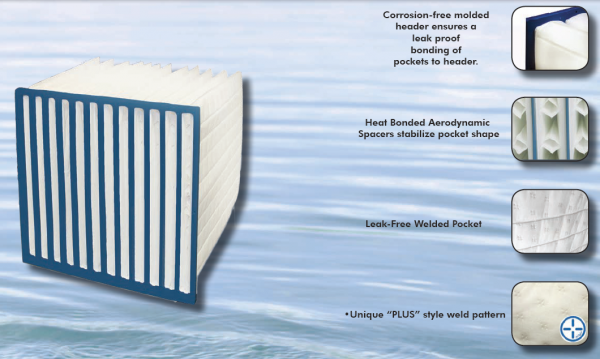 Viledon uses thermally welded seams exclusively in its air filtration products. Welded seams are leak-free and prevent dust particles from reentering the air stream during peak operation of the filter system. 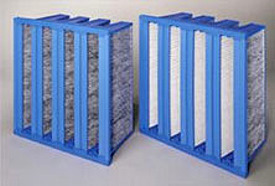 Stitch holes in some competitive filter competitive filters allow dust particles to escape back into the air flow, bypassing the filtration process entirely. Even the white glue strip fails to prevent the leak. Viledon pocket filters are made with injection molded, polyurethane headers. Strong and lightweight, Viledon headers will never corrode and are extremely resistant to moisture and chemicals. During the injection molding process, the filter pockets actually become embedded in the polyurethane – forming a permanent, leak-free bond.